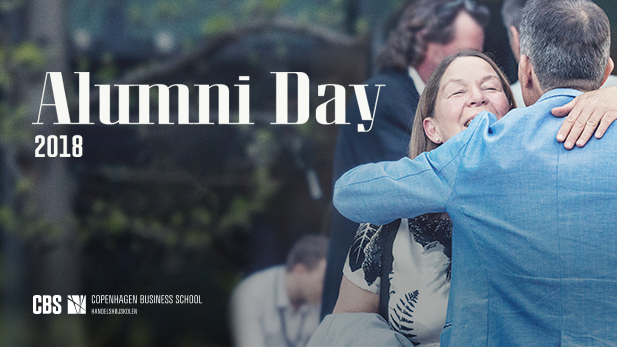 Alumni – this is your day! Once again, CBS welcomes alumni back on campus for Alumni Day on 24 May 2018. The event features findings from the latest research, inspiration, and plenty of opportunities for you to nurture and grow your network with fellow alumni. Alumni Day is an event exclusively for alumni of CBS. On this occasion, CBS gives absolute priority to alumni relations and honors this year’s Distinguished Alumna. Time to network and to enjoy a vibrant atmosphere. Get to know fellow alumni through a speed networking session, drop by stalls for inspiration, get discounts on publications and merchandise, see a film about CBS, and much more. There will be music and plenty of food and drinks. Participants: Alumni Day is an event exclusively for alumni of Copenhagen Business School. The participation fee contributes to the costs of Alumni Day, and includes food and drinks throughout the event. See you at Alumni Day 2018!